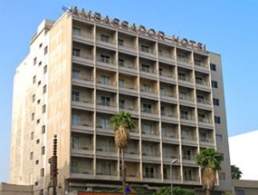 Ambassador Hotel was the first brick in the hospitality industry of Dubai. This is a three-star hotel situated about seven minutes from the beach. It caters to leisure, pleasure and commercial travelers. The special needs of the business traveler are also taken care of. Expect nothing less than international quality comforts at this place. You can choose from some of the best restaurants around. In addition, the hotel also arranges for outdoor sports and leisure activities.